I learned about this book while doing research on the manga Hot Gimmick, which is about teenage romance and social hierarchies in company-owned danchi housing. If a certain living arrangement exerts such a strong influence on people’s lives that it can determine patterns of everyday interaction, I wanted to know more about what these danchi actually look like. Danchi are apartment complexes. Unlike the stand-alone manshion apartment buildings found everywhere in the urban centers of Japan, danchi are sprawling arrangements of buildings situated in more peripheral locations such as suburbs and commuter towns. As seen from the windows of passing trains, danchi are almost monstrous, and I’ve always counted myself lucky to not have to live in one. After reading Danchi junrei, though, I’m now jealous of the people who have had the experience of living in a danchi. In Danchi junrei, or “danchi pilgrimage,” professional photographer Ishimoto Kaoru takes the reader along on his journeys into danchi complexes of various sizes and layouts. His pictures don’t beautify the buildings, but he does give the reader a sense of the charm and livability of the danchi he visits. Although the buildings themselves, which were constructed in the housing boom of another era (usually the late fifties), are often dilapidated, the backyards and balconies and inner courtyards and playgrounds of these danchi are filled with children, pets, greenery, and the evidence of the daily lives of the people who live in the complex, from hanging laundry to bicycles to discarded toys to graffiti. Of course, this is when there are people living in the danchi at all. Over the course of his pilgrimage, Ishimoto also visits complexes that are nearly abandoned, fully abandoned, or already demolished at the time of printing. Some of these danchi have historical significance, such as a structure in Daikanyama built in 1927 that was one of the first modern apartment complexes in Japan. Some of them, such as the “ghost danchi” in Meguro, are associated with urban legends and famous among people into haikyo, or the exploration of abandoned buildings. Although these derelict danchi are covered with rust and mold, they’re surprisingly well preserved, and one might think that people could still be living there were it not for the rampant, jungle-like plant growth that has filled the open spaces and started to encroach into the buildings themselves. Ishimoto’s photographs are enhanced by his text. Each photograph is accompanied by an unobtrusive one-line description, and each set of photographs is introduced by a short paragraph of flavor text. What I really enjoyed reading, however, were the one-page descriptions of each danchi, which would usually include the history and occupancy status of the complex as well as any rumors that Ishimoto had picked up from fellow danchi enthusiasts or just people living in the neighborhood of the danchi in question. Ishimoto also describes his own experiences of walking around each danchi, which tend to be particularly interesting when the complex has been abandoned. Ishimoto is an engaging writer, and the undoctored feel of his photography gives the reader a sense of proximity that wouldn’t be possible with more polished-looking set pieces. 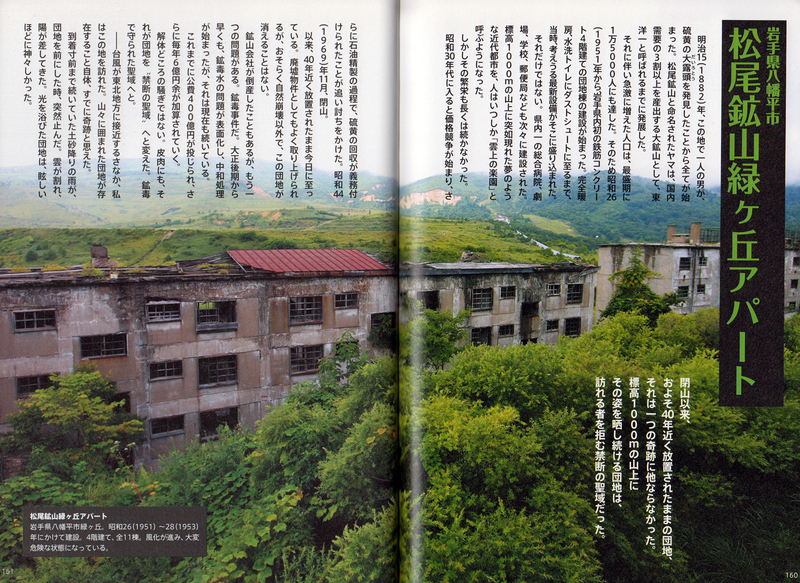 Danchi junrei is urban exploration at its finest, and I surprised myself by enjoying the book so much. I highly recommend it to people interested in Japanese cities and architecture. 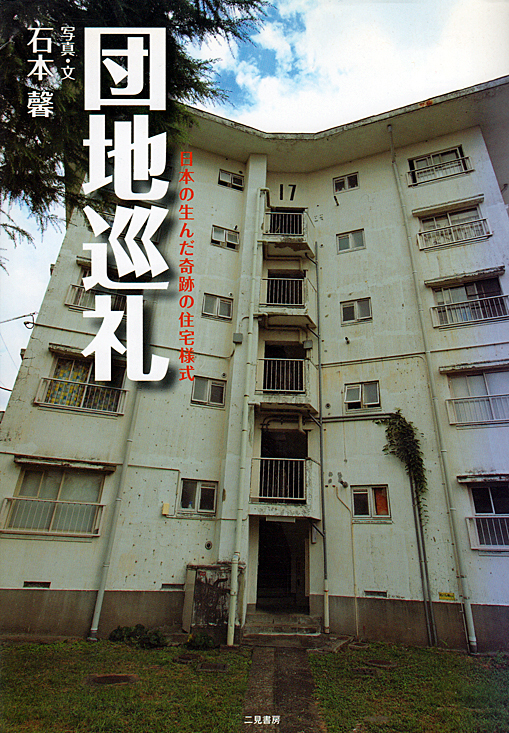 I might also recommend it to people interested in Japanese aesthetics, because you can’t get any more wabi-sabi than a deserted apartment complex slowly going to seed on the borders of Tokyo. Fascinating, I´ve done some similar research on dilapidated spaces in Barcelona. I will look for this book when I´m in Japan this January. My reading ability in nihongo is quite low, does the book mainly consist of photos? Have you come across any manga or novels that deal with the destruction of historic living quarters (in English)? 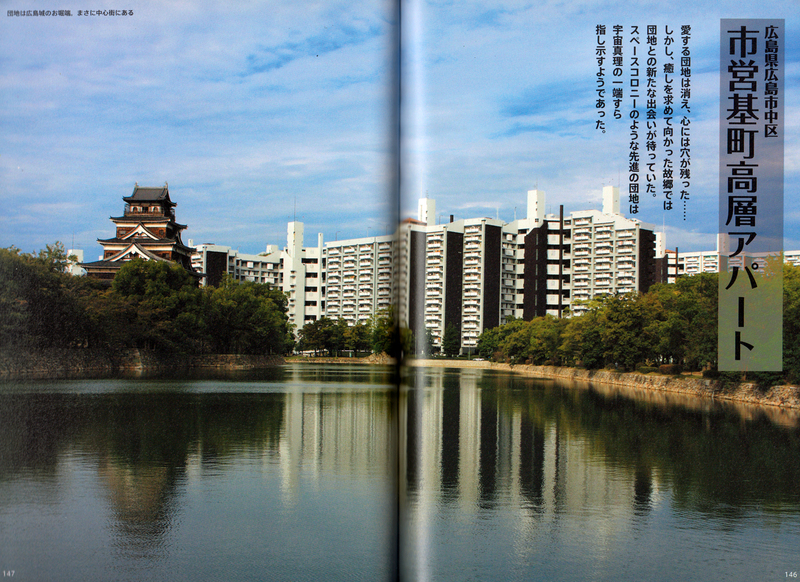 Danchi junrei has a lot of photos, but it’s also got a surprising amount of text for a photography book. If you’re looking for something with mostly photos, I recommend Kobayashi Shunichirō’s DEATHTOPIA: 廃墟遊戯. Great, thank you! Will search for Deathtopia on amazon.jp . Btw, have you heard about the Tokyo exhibit at the MoMo? I hope to go in December. This is my first time commenting (ahh!) and thanks you always for your entries. Speaking of haikyo, are you familiar with Lee Chapman’s photography blog (http://www.wordpress.tokyotimes.org)? I can’t recall if he’s explored any danchi though.